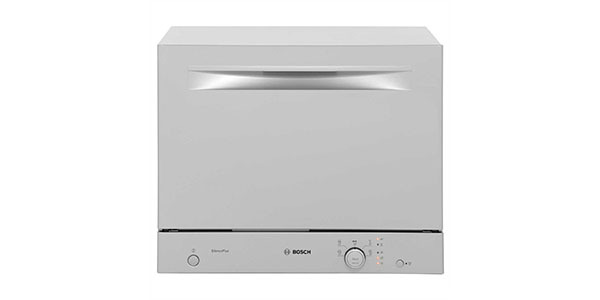 If you don’t have the space for a larger dishwasher, the SKS51E28EU from Bosch could be a great addition to your kitchen. It may be smaller than the full sized machines, but it still performs well and it comes with all of the necessary features and programs. 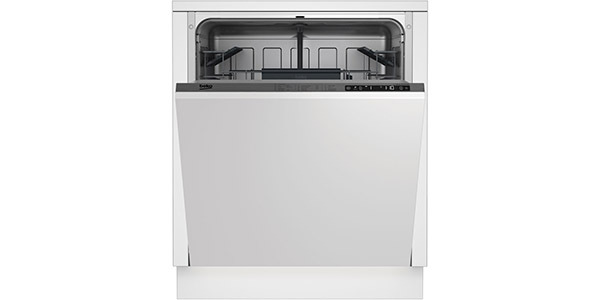 This is a countertop appliance that performs well and it has a durable build, so consumers get a good value out of this compact dishwasher. 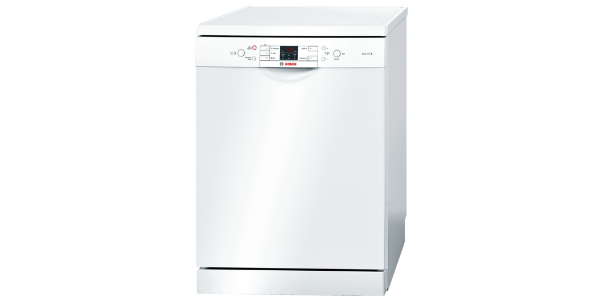 The Bosch SKS51E28EU is a compact dishwasher that still offers the features that you need to get good results. The consumer gets all of the programs that they would expect from the full sized machines and it delivers results that are comparable in almost every way. This model also offers good efficiency with an estimated energy consumption of 174 kilowatt hours per year. 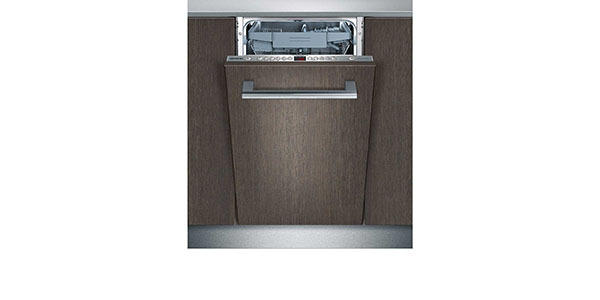 For a countertop dishwasher, the user gets a nice amount of space and it does have some adjustable loading features. This machine can fit up to six place settings in at one time and you get some folding racks and compartments to make room for different types of items. Obviously, it is not going to provide the same amount of room that you would get from the larger models, but the designers at Bosch did a pretty good job of making the interior space flexible. The SKS51E28EU comes with a nice selection of programs. The programs include delicate, normal, intensive, economy and quick wash. As a note, it does not have a great selection of additional features like you would expect from the larger models, but it does have an extra dry feature that can be used to improve the drying of the different cycles. 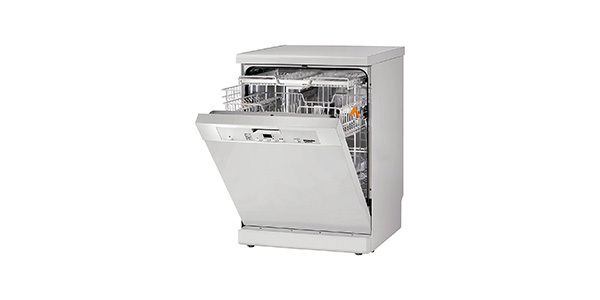 You may not get all of the features that are common on the larger machines, but this dishwasher does offer cleaning performance that is just as good. With settings like intensive, normal and delicate, this machine can tackle any dishwashing job that you put it to and it comes with additional cycles like quick wash and economy. The only negative to note about the performance is that the economy cycle takes close to four hours to complete. For ease of use, this compact model does very well. It can be set up nice and easy and the controls are very simple. It has a turn dial for selecting cycles and a button to enable the extra drying feature. Users should find this control setup to be very easy to understand and easy to operate. 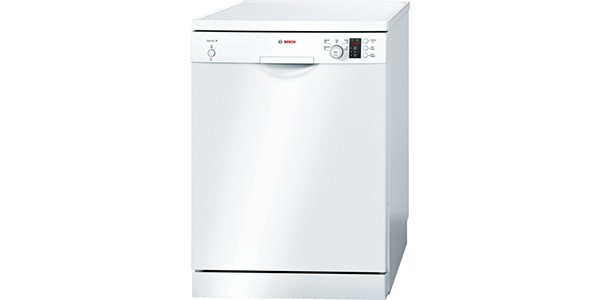 This is a Bosch, so it is sound in regard to the build quality and the reliability of its operation. It has overflow protection features and a filter that is self-cleaning. 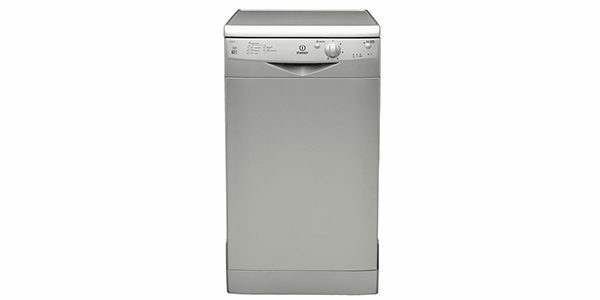 With a little bit of care, this dishwasher will provide years of reliable operation.